A training course for United Nations logistics officers began in Hanoi on Tuesday, with 13 Vietnamese and 15 foreigners attending. 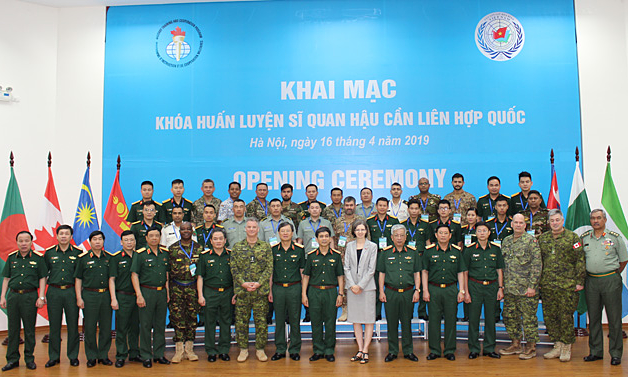 Vietnam and Canada are organizing the training and the foreign trainees are from 10 nations that are partners of the latter’s Military Training and Cooperation Program. The trainers are from Canada, Sierra Leone and Vietnam. Maj Gen Hoang Kim Phung, head of Vietnam’s Department of Peacekeeping Operations, said the course would equip the trainees with comprehensive logistics knowledge and skills for U.N. missions, including the examination and evaluation of devices and equipment needed, deployment on battlefields, healthcare, humanitarian aid, principles of protecting civilians and children, and prevention of violence and sexual abuse. 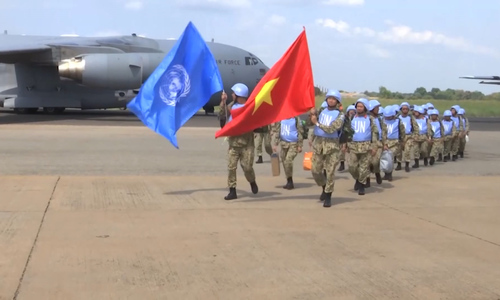 Since 2014 Vietnam has deployed personnel for U.N. peacekeeping missions in South Sudan and the Central African Republic on 30 occasions, Deputy Minister of Defense Nguyen Chi Vinh said. Last October it sent its first ever medical team to a U.N. field hospital in conflict-ridden South Sudan. A second team is receiving training for another U.N. peacekeeping mission in 2020.